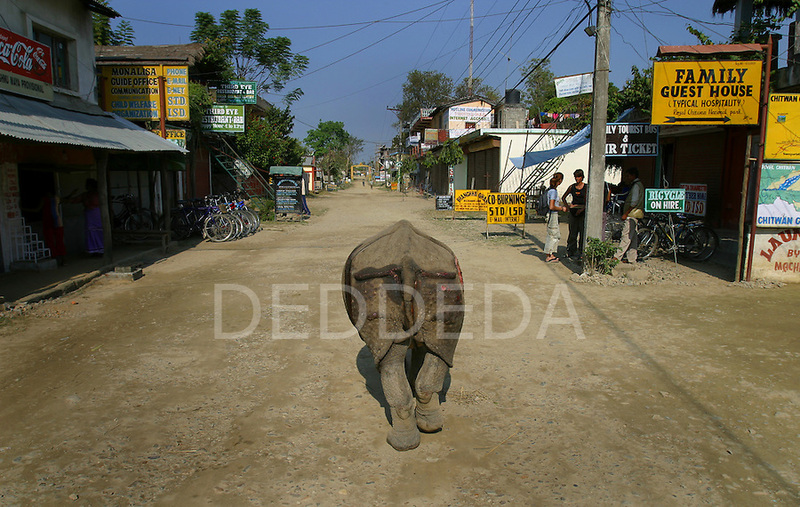 Beauty, the resident one-horned rhinoceros in the village of Sauraha, Nepal. Beauty, whose mother was killed by poachers when she was a baby, has lived in the streets of Sauraha since she was rescued by a village resident. She is relatively harmless to people, but she often gets the locals angry when she tramples through and destroys people's gardens and knocks over fences and riverside restaurant tables and chairs.